Hello friends! I hope you all had a wonderful Christmas. We sure did! 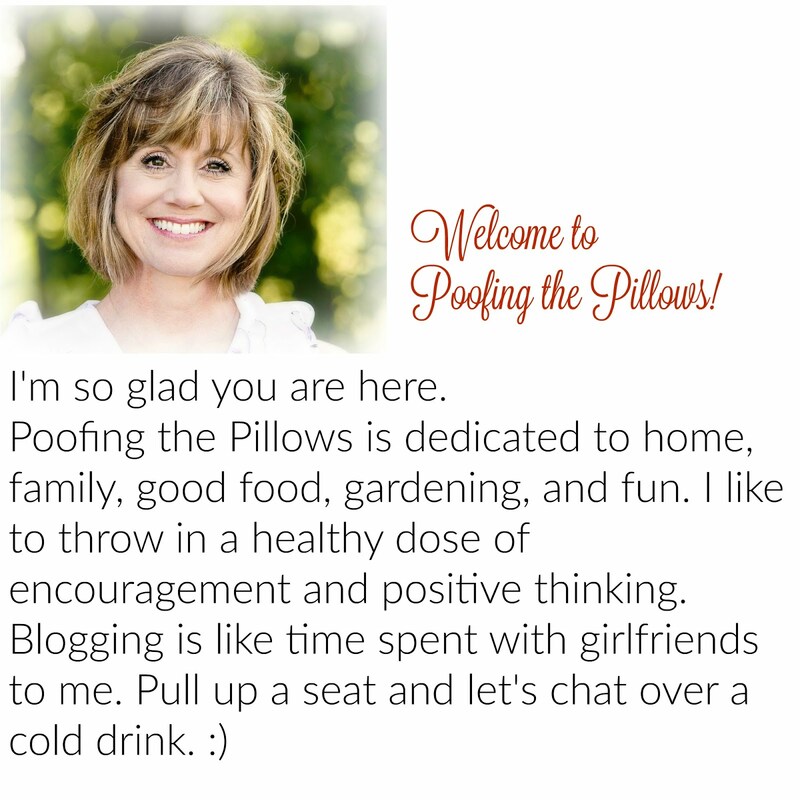 I've just been reminiscing and looking back at the 70 posts of 2017 on Poofing the Pillows. The posts shared here had the most interaction through hits, comments, and pins. It's fun to look back at these statistics and see what you enjoyed and shared. I can't proceed though without thanking you from the bottom of my heart for being here. You are always kind and supportive. I love chatting with you! You guys hung with me for almost a year while we lived in a rental with dark gray and burgundy walls. It wasn't great and I was very uninspired. Then in June we moved into our Forever House which has had my creative side clicking. Our Christmas Kitchen was definitely a favorite of readers this past year. We love this kitchen so much and are glad that you do too. This space has proven to be wonderful for having family and friends over. 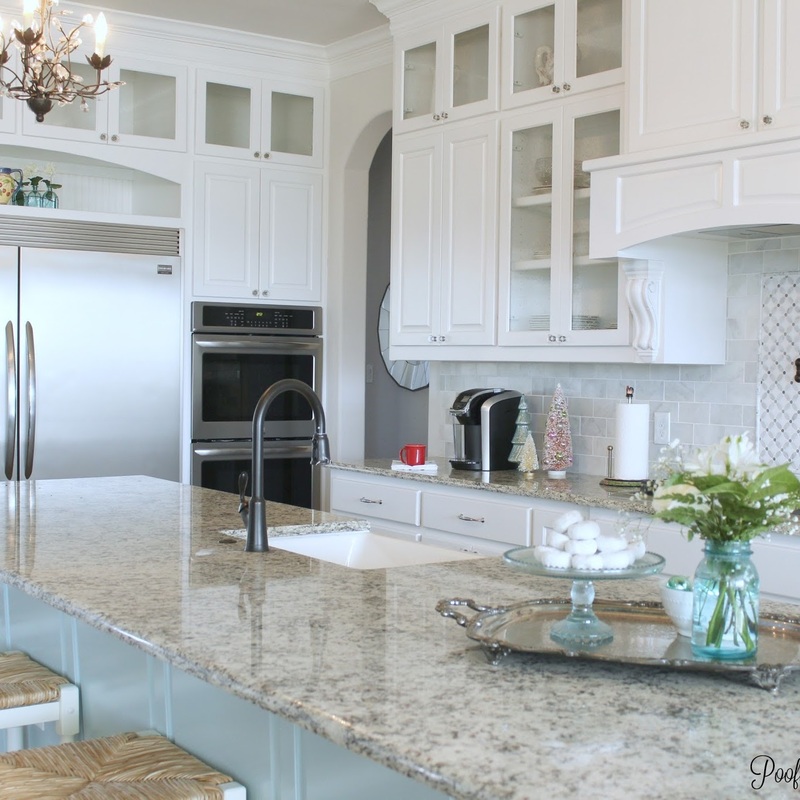 Our Forever Home Kitchen tour came shortly before Christmas and was popular, as well. 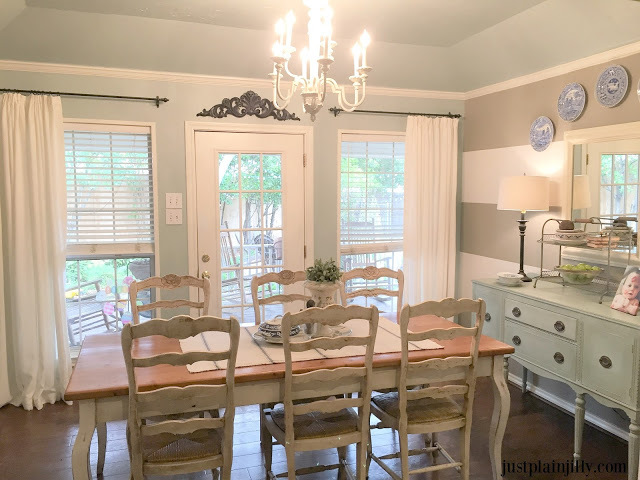 Fall Decorating Ideas From an Average Girl was part of a collaborative effort with some of my Texas blogging friends. This is yet another post where I confess to you that I keep things pretty simple and I'm usually a little behind the curve. I'm happy to report that the Ten on the Tenth posts seem to be favorites of readers. This is another group project with friends where we share ideas for life that cost less than $10. 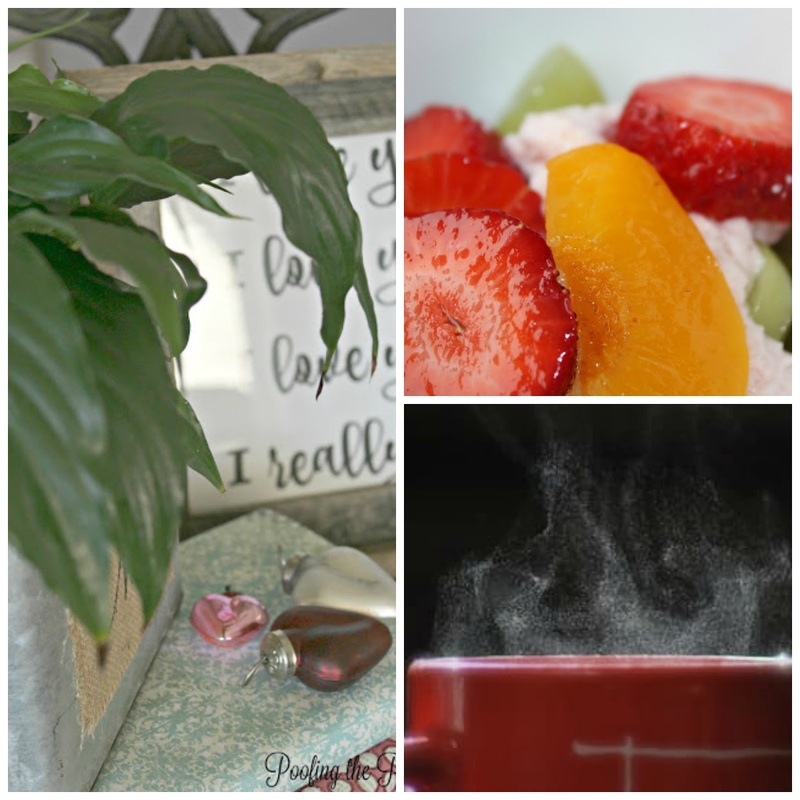 A Less Expensive Way to Use Your Keurig, Creating a Sweet Spot in Our Rental and A Snack That Is Delicious and Inexpensive have all been visited and pinned many times. :) Next post coming January 10th, 2018. In Fantastic Fifties, I shared my thoughts on blogging and being in my fifties. I really loved the exchange that took place in the comments and emails from that post. We all agreed that staying positive, learning, and moving our bodies are so important as we move forward in life. Have you included any of these things in your New Year's Resolutions? 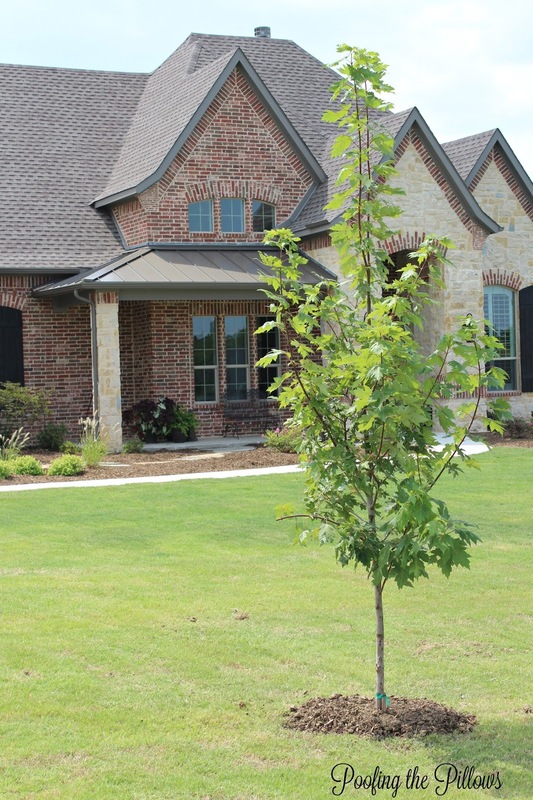 You know my husband and I love gardening and our new place provides plenty of space for planting and growing beautiful plants and trees. We've just gotten started this past fall and will be continuing very soon because our Texas weather allows planting almost year round. Y'all love the First Friday Home Tours which will definitely continue in 2018. Jill's Waco home was a BIG HIT with readers and has been pinned more times than anything from this blog. You can see all of the fabulous First Friday Home Tours here. Last but not least, Jemma and I started The PERK Project during the holidays which will continue into 2018. I'm very proud of this project because it encourages and reminds me of so many good things in people. You all chimed in on both posts with so many sweet and wise things to say. I hope you'll be here for more of that project. Please tell me, what would you like to see more of here in 2018? Stacey you truly have accomplished so much in just one year. May the new year bring you and yours much happiness and health! I always enjoy your posts. I know what you went through the first 5 months of the year, I had to deal with a rental with dark rust, olive green and mustard yellow walls for 11 months!! I am looking forward to your posts in 2018. You have accomplished quite a lot in a year friend. I am so enjoying the PERK project and am glad you all will carry it into the new year. You have really accomplished so much this past year. I am so happy for you that you are in your forever home and are feeling settled and happy. My wish for you in the new year is of course lots of happiness in your new home, finding joy and friendship in blogging and new and exciting adventures. Happy New Year. Stacey, I am so happy for you that you are in your forever home and it is truly beautiful sweet lady! Wishing you a blessed and Happy New Year! 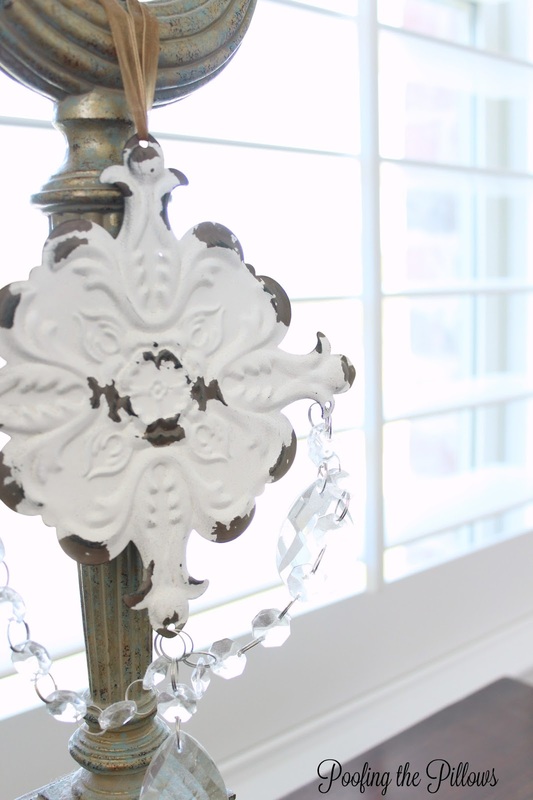 Such pretties, sweetness and downhome goodness in your home and spirit. Love all of the posts you shared with us today and I just know that 2018 is going to be full of more gorgeous blooms, happy decorating and neighborly "Hello's!" Happy New Year to you and that sweet family! Stacey, your blog i so refreshing, and I can relate so well to you and your interests. I really appreciate all of your subjects, but most obviously gardening. 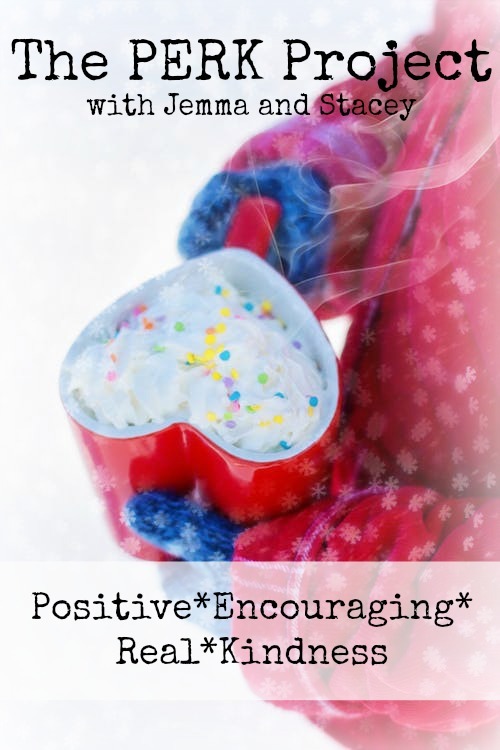 The PERK project really struck a chord, and I hope to dig in deeper now that the holidays are over and I'm less busy. Thank you for your continued friendship and cheers to the New Year! I can't believe what you've done in one year, especially given house construction and settling. Impressed to the max. And the PERK project is the best! More of the same, please! Happiest new year, my friend. A joy having met face-to-face last January! Here's to another year of friendship on and offline! 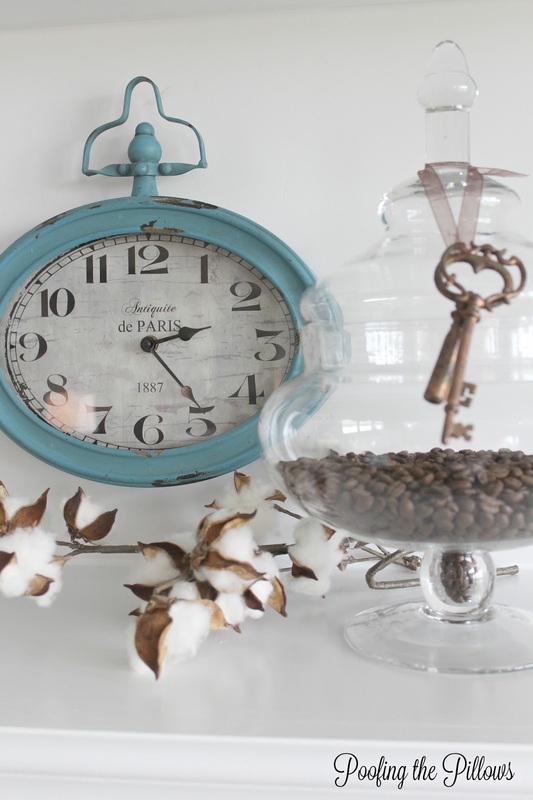 I have enjoyed peeking inside your beautiful home and participating in the blog hops with you, Stacey. I, too enjoy reflecting on the past year and just finished a post of my most popular, for Sunday ;) Happy New Year! So many great posts! I enjoyed them all! Well, sure enjoyed checking out some of these posts and your "forever home" is just gorgeous. We built what we hope is our "forever home" 2 years ago and we absolutely love it. We tried to of every possible thing we could to make it "aging friendly." But, we never know what the future holds, but we are hopeful it will be our forever earthly home. Blessings for the new year!!! You had a fantastic year. I've loved following along on your journey into your new home. I can't wait to be a part of 10 on the 10th. You continue to be a blessing and encouragement to many! Happy New Year. Happy New Year, Stacey! It's fun looking back on all your posts. Your home is so beautiful! And I also love how your blog is looking, too. Thanks for including our home on your First Friday Home Tour. I appreciate it so much! I know 2018 will be a great year for you over here @ Poofing the Pillows! I hope you have a WONDERFUL 2018! Always love following along with your pretty blog. Stacey, I love seeing what you are up to. No surprise that your darling kitchen was so popular! Looking forward to what you will share in 2018! Thanks for sharing with SYC. You and your blog are precious to me! So real, such a great mix of goodness and you have one of the kindest hearts I know. And you’re mighty talented! Loved your house posts and the Perk project so much! Happy New Year Stacey! I’ve really enjoyed seeing your new home posts this past year and look forward to this year. A lot of beautiful things for one year, Stacey. It was fun to watch them all.